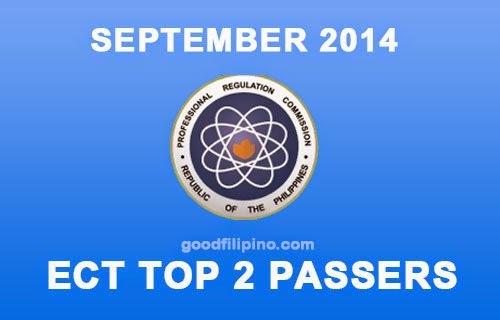 The top 2 passers of Electronics Technician licensure examination for September 2014 are now ready for viewing. The Board of Electronics Engineering and PRC helping hand to provide the exam in the cities of Manila, Baguio, Cebu, Davao and Lucena last September 2014. The students from Central Colleges of the Philippines, Southern Luzon State University-Lucban, Cebu Institute of Technology, and the POLYTECHNIC UNIVERSITY OF THE PHILIPPINES-MAIN are the topnotchers of this exam. Comments or suggestions about "Top 2 Electronics Technician (ECT) Exam Passers for September 2014" is important to us, you may share it by using the comment box below.